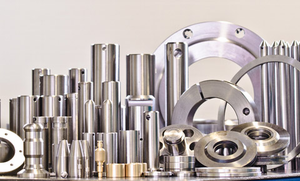 Industrial manufacturers require high throughput, precision cleaning, and advanced ultrasonic welding. 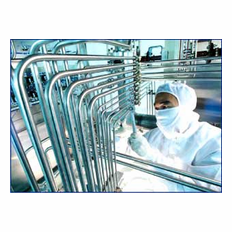 Sharpertek, based in South East Michigan, is an industry leader in providing ultrasonic solutions to the industrial world. With expert knowledge of parts and processes, Sharpertek is your answer for all industrial needs. 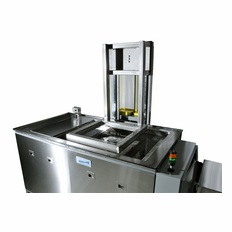 Our heavy duty industrial manufacturing cleaners can be configured to fit massive parts and are designed for dependable, long term use. Sharpertek offers many solutions to process demands keeping costs under budget and delivery on schedule. Industrial maintenance requirements, though smaller in physical size, are equally critical for ensuring a plant remains operational. Our extensive standard product line will clean anything from valves to pumps, filters, and everyday tools. 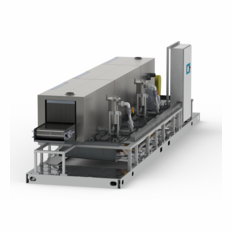 For larger, more complex requirements we are happy to design a custom machine configured to your particular application. 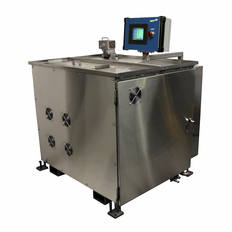 Automated Ultrasonic Aqueous Parts Cleaners- for large or small parts of any shape or style with exceptional features: HMI touchscreen, full safety features (including NRTL Certification), conveyor integration, random recipe processor, data logging, high throughput, precision cleaning, fully optimized process, control, and superior repeatability on large batches. 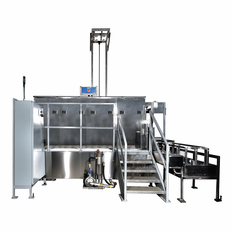 Spray Washers- Push/pull, Cabinet, Conveyor, and Pass-thru type spray washers. 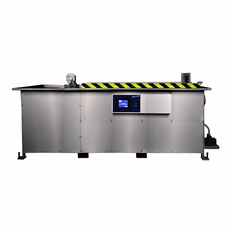 High throughput, convenient loading/unloading, quick and efficient cleaning process. Sludge removal, high pressure/high volume spray wash with optimal nozzle selection. Vapor Degreaser- For heavily soiled parts where aqueous wash doesn’t quite cut it, Sharpertek’s Vapor Degreasers are the solution. 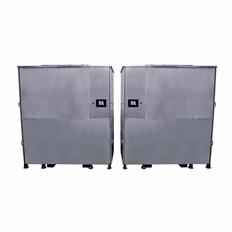 Their small footprint, optional automation, precision cleaning, and efficient refrigerant solvent recapture keep costs down and parts clean! Tube cleaning- For cleaning the I.D. / O.D. 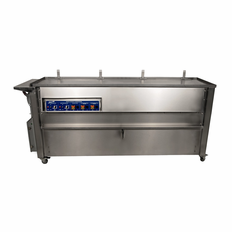 of any sized tube, automated tube flushers can work in conjunction with ultrasonic cleaners or as an independent method of cleaning tubes. High volume flushing with DI water/solvents/ or gaseous purge exceptionally clean the inside of tubes. Plastic Welding- Sharpertek’s ultrasonic plastic welding equipment makes fastening of plastic components simple, quick, and efficient. With knowledgeable and experienced engineering, Sharpertek offers a cost effective and high quality solution for fastening plastic parts. Fixture and horn design optimization ensure a high quality weld with a long service life. 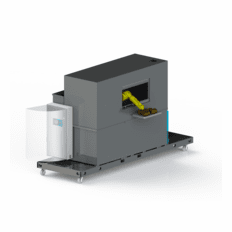 Parts Washing – Big or small, our standard line parts washers are capable of quickly cleaning production or maintenance parts. From cleaning valves, pumps, and filter housings to refurbishing motors, these machines provide superior cleaning to increase plant run-time.